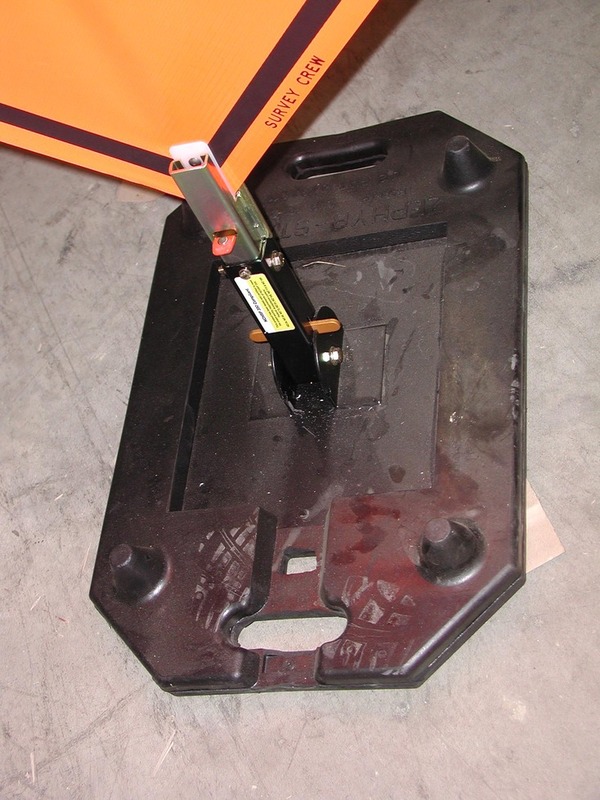 Two molded-in carrying handles allow for easy movement and placement. 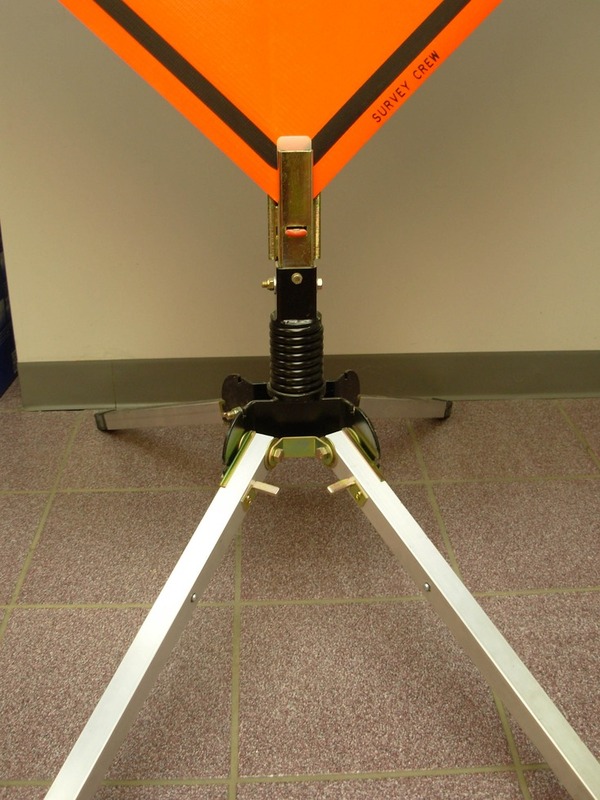 4022000 Steel sign stand w/ telescoping legs $120.00 22 lbs. 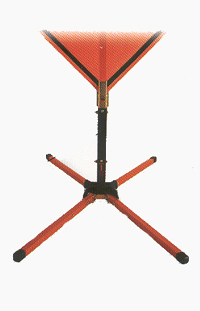 4022300 Single Spring steel sign stand w/ telescoping legs $146.00 25 lbs. 4026000 Molded rubber base $108.00 38 lbs. 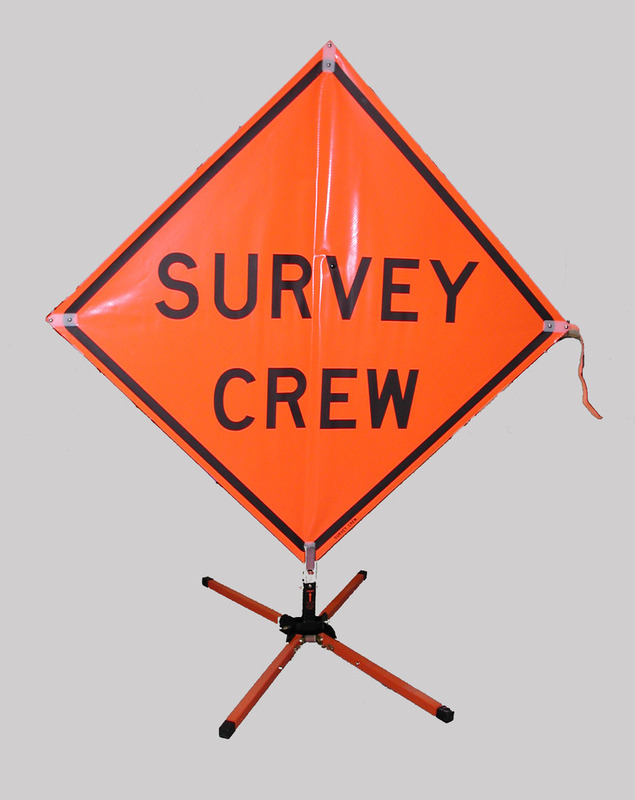 4026036-EV-HF​​ ​​ 36" Vinyl Sign w/ ribs-Heavy Duty-Survey Crew $60.00 2 lbs. 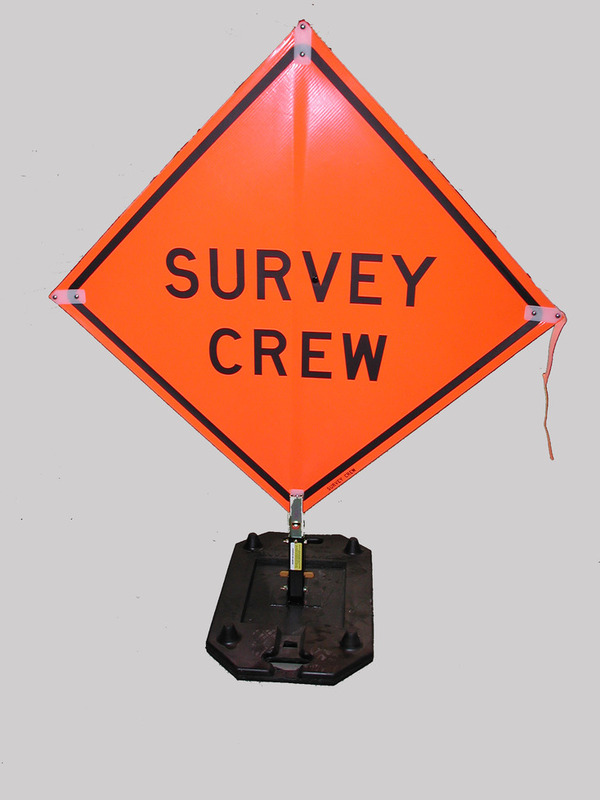 4026048-EV-HF 48" Vinyl Sign w/ ribs-Heavy Duty-​Survey Crew $70.00 5 lbs. 4026036-RW 36" Heavy Duty Vinyl Sign w/ ribs- Roadwork $60.00​ 2 lbs. 4026048-RW 48" Heavy Duty Vinyl Sign w/ ribs- Roadwork $70.00 5 lbs. 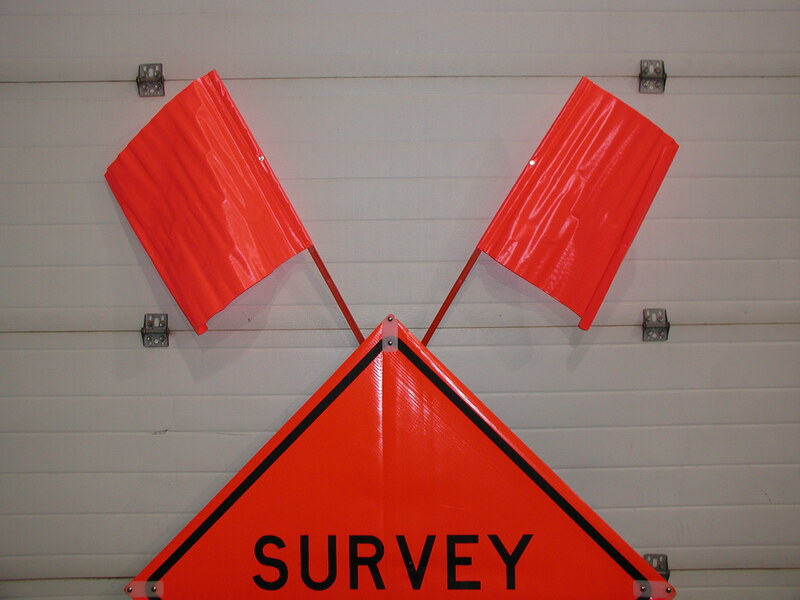 Reflective Cones 18" & 28"
Fluorescent Orange Solid Vinyl Sign with Survey Crew or Roadwork Ahead. Note: Signs & Bases are interchangeable. * Injection molded PVC, MUTCD Complaint. * Rubber base for excellent stability and anti-skid performance. * Flourescent orange color throughout for superior fade resistance. * Reflective collar for MUTCD compliant nighttime performance. * Ridges on the inner cone allow for easy stacking and deployment. 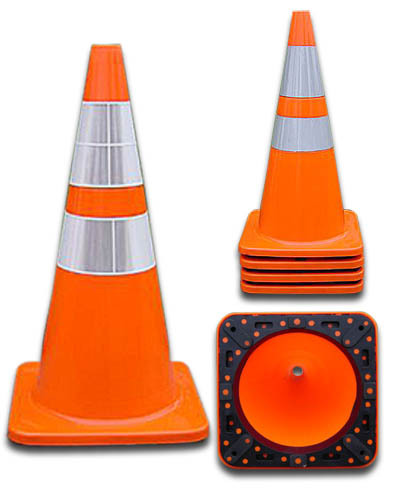 4018PVCS6CC(VSB) ​ 18" Traffic Cone with 6" Collar $12.75 3 lbs. 4028PVC6CC4CC(VSB) 28" Traffic Cone with 6" & 4" Collar​ $22.75 7 lbs.